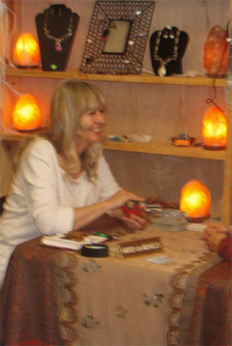 BY PHONE: CLAIRVOYANT PSYCHIC READINGS A problem comes to pass, it doesn’t come to stay. Let me help you see how it’s all part of the process. Andrea is a clairvoyant and psychic who accesses the nonphysical world of Spirit to help you with relationships, business, finance and life path soul lessons. You will write your questions down and expect them to be answered. BY PHONE: LIFE PURPOSE READINGS We may think we’re looking for the perfect job or the perfect marriage but we’re not looking for a partner, we’re looking for a purpose. Andrea is a clairvoyant who accesses the nonphysical world of Spirit to help you with discovering your life purpose and more. She gently guides you through your own personal growth and transformation process. You will write your questions down and expect them to be answered. If you’d like a quick one card reading, I’ll do it via email or Facebook for a donation of $10, see info at http://horizonsmagazine.com/sessions-with-andrea-2/ and Paypal to horizonsmagazine@gmail.com. You’ll receive a 400-500 word detailed interpretation covering the areas of work, love, finances, health and spirituality. 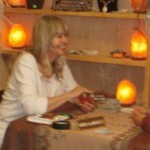 WHY A PSYCHIC READING BY EMAIL? To have a written record. There is a kind of magic that happens when you type your questions to me. Just $75 per question, and you may make your question as long and complex as you wish. Whatever you want, I can help you make it happen. To order a reading, email Andrea at horizonsmagazine@gmail.com. You will also Paypal to horizonsmagazine@gmail.com, or I can take your credit card number from you.